Christian De la Rosa has left CBS affiliate WGCL in Atlanta to join the ABC affiliate WPLG in Miami. He has served as a reporter at WGCL since June 2015 and prior to that he was in San Diego at Fox’s KSWB. 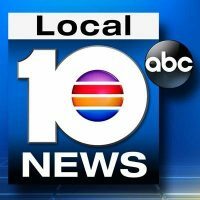 De la Rosa will start at WPLG on April 17, 2017. Follow WPLG on Twitter.